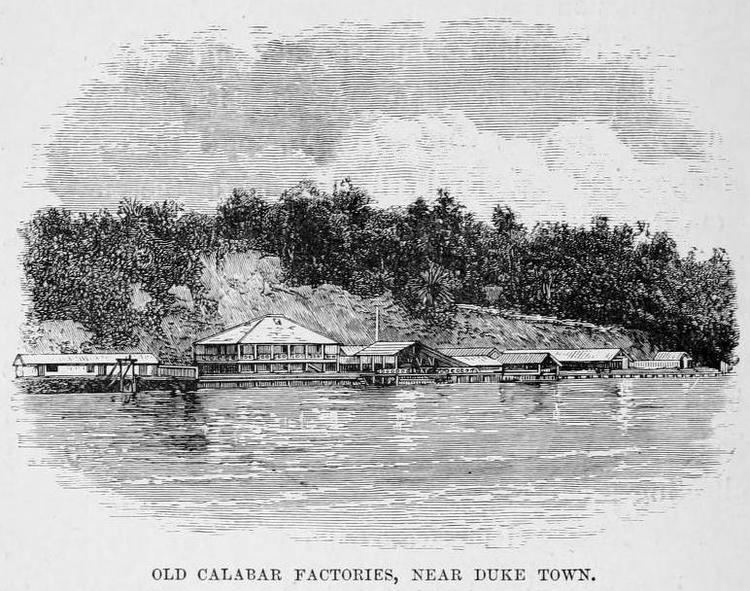 Calabar (also referred to as Canaan City) is a city in Cross River State, coastal southeastern Nigeria. The original name for Calabar was Akwa Akpa, from the Efik language. The city is watered by the Calabar and Great Kwa Rivers and creeks of the Cross River (from its inland delta). Calabar is the capital of Cross River State. For the purpose of administration, the city is divided into Calabar Municipal and Calabar South LGAs. It has an area of 406 km² and a population of 371,022 at the 2006 census. The original town was known as Akwa Akpa from the Efik words Akwa and Akpa. The spelling Calabar remained till the British came and pronounced Calabar as Calabah. The neighboring town of Ataba took over the name and its Efik /Qua/Efut/Biase/Akampkpa indigenes became known as Calabar pronounced Calabah till this day. Calabar is a large metropolis today with several towns like Akim, Ikot Ansa, Ikot Ishie, Kasuk, Duke Town, Henshaw Town, Ikot Omin, Obutong, Bakassi, Biase, Akamkpa, etc. As a social centre the city boasts of the first social club in Nigeria, The Africa Club, and hosted the first competitive football, cricket and field hockey games in Nigeria. Among the citys firsts includes the first Roman Catholic Mass (held at 19 Bocco Street, Calabar – 1903) and the oldest secondary school (Hope Waddell Training Institution – 1895) in eastern Nigeria. The School later produced the first President of Nigeria, Nnamdi Azikiwe. The city boasts of an International Museum, a Botanical Garden, a Free Trade Zone/Port, an International Airport and Seaport, an integrated sports stadium complex, a cultural centre, one of the most prominent universities in the country the University of Calabar, a slave history park and several historical and cultural landmarks. It also boasts of several standard hotels, resorts and amusement parks. The former Liberian warlord Charles Taylor lived in the old colonial palace in the city under an agreement which led to the end of his countrys civil war before fleeing extradition to Liberia in March 2006. The Tinapa Resort, a development by the Cross River State government, lies to the north of the city beside the Calabar Free Trade Zone. The Cross River State Annual Christmas Festival held every year attracts thousands within and beyond Nigeria. The Festival which includes music performance from both local and international artists, the annual Calabar Carnival, Boat regatta, Fashion shows, Christmas Village, traditional dances and the annual Ekpe Festival is a yearly event that brings in thousands of tourists at the time of the year.